Jack: Jack and Jill here. Jack: Welcome to the show. 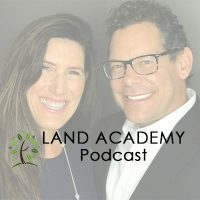 In this episode, Jill and I talk about flipping pitfalls, but before we get into the topic, let’s take a question posted by one of our members on the LandInvestors.com online community. It’s free. Jack: I would not pass on it. That’s not a reason. In fact, I would buy the property, and I would sell it. Jill: I would celebrate that, honestly. Jill: This is where you want to be. Jack: This is it, because they are protected here. Jill: Yeah, and you have that. I wonder if it’s … 2,000. So it’s a one-time fee to build. Jack: I think it is. Jill: Okay, good. To help, I guess, with their efforts to care for, whatever they need to do for birds to keep them. Jill: I think that’s cool. Jack: I think it’s also, and I’m speaking for my friend Jill, also a good reason to say, “You know what, I didn’t realize there was this fee here. I might have to reduce the purchase price.” But that’s up to you. That’s how you run your business. Jill is a little bit more prone to negotiate than I am, but I’m saying this is a pretty darn good reason … Of all the reasons, the stuff that you didn’t know when you sent the letter out, and now you just found about it in your due diligence, this is a pretty good reason to come back and say we might have to reduce the price. A legitimate, ethical reason. Jill: Uh-huh. And it was up against the Corps of Engineer land, which was awesome, because we all knew no one could build on it. So, no one could block the view, and I think that’s good stuff. I think this is great, too. If it keeps some people out, too, because of that, awesome. I think it’s neat. I think it’s good. Jill: That’s what that was. Jack: … so it gets used for the betterment of the world kind of thing. Or the immediate subdivision. Jack: But Jill said the residual effect is no one is going to build anything on there. 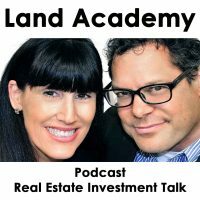 Jack: Do you have a question or you’d like to be on the show, reach out to either one of on LandInvestors.com. Today’s topic: flipping pitfalls. We talk about the stuff that’s possible and good all the time. We’re going to talk about some of the stuff that’s pretty difficult to get over in this part of the show. Maybe. I don’t know. This is Jill’s show. We’re going to find out. This is the meat of the show. Jack: Hey, we did it. Jill: … often. We tested it. Not new to the business. So, here’s my number one thing, too. I find this often because people think it’s cool, and they are the least experienced with doing property transactions at all. They dive right into this, so the risk of failure is really high, and that bums me out. Because I think a lot of people get into real estate and properties, and they dive into something like this because they see it on TV, and they think, “I can swing a hammer. My wife and I could do this on the weekend. I can learn to lay carpet.” And then they get in and they realize this is not what I thought, and this is a whole lot of work, and oh my gosh. Yeah, because there is a lot to it. So, not just the transactions, but what really can go on and what failures there could be. It bums me out because I think that they get in, and then they get a bad taste for it and they think it’s all hard and they can’t do it, and then they give up. And I think that’s too bad. Jack: So, I don’t think the word flipping is associated directly with houses at all. I think it’s flipping real estate. I think we flip land all the time. We don’t use that word, but I just think it is. Jack: I think people’s flipping pitfalls are really personal and specific to that person. Let me give you a couple examples. I am not a good cabinet maker. In fact, if I had to get up this morning and make cabinets, like kitchen cabinets, that would be a massive pitfall for me. I happen to be good at data, and reasonably good based on our numbers at having a talk show. So, that’s what I do. So, I think flipping pitfall … If you don’t know about data, and you don’t care about spreadsheets and you think that the idea of sending a bunch of unsolicited offers out to a whole neighborhood is idiotic and moronic, more power to you. Go make some cabinets or whatever you are incredibly good at. Go do that in the context of flipping real estate. It just works for us. Jack: I like your tangent. Jill: Well, hold on. I have a common failure that I see whether you are flipping land or a house or anything. I’m going to bridge the gap with this, which is the biggest failure I see is leveraging the asset. Jack: Yeah, you’re right there. Jill: That, no matter of whether you’re flipping a house or you’re flipping a piece of dirt like we do a lot, if you don’t go in with cash, you are … The clock is ticking, and you’re always under the gun. There’s so much pressure about making the payments and getting it done quickly and all that good stuff. That, I see, is the biggest failure. People going in, and then they make bad decisions. You know what I mean? Jack: Could not agree more. Jack: In a list of expenses that go on a typical real estate transaction, here they are: cost of the actual piece of real estate. You have two choices. You can borrow money, or you can pay cash. Most people don’t have cash, so now you’re paying interest expense. When a lender gets involved, that triggers lots of other stuff. It triggers, in a land case, sometimes a survey. That costs money. An appraisal. That costs money, because the lender doesn’t know where the property is or anything else about it. They trust that there’s an appraiser who is going to help them. There’s almost always, when there’s a lender, a real estate agent involved. That costs lots of money on both sides of the transaction. Then if you’re going to clean the house up and flip it, like Jill is referring to, now you’ve got to pay a contractor. Or at least, if you’re not going to do all the work yourself, pay a bunch of handymen. If you’re going to get handymen and contractors, you typically have to pull permits. That costs money and time. I can go on and on and on. What Jill and I have chosen to do, and what we teach, is to do away with all of that. Buy a piece of property for cash, and remove all the contingencies. Now you don’t report to anybody. You report to yourself. And if you don’t have the money, find somebody who does. It’s really easy. There’s way more money out there than sense. So, what Jill is advocating is the first way is huge flipping pitfall. You’re really setting yourself up to fail, and I’ve been down that path. That’s how we got here. We failed at it and figured out how to do it right. If you do not have a lender … Jill, you’re 100% right. I didn’t even think about this before the show. Jack: Because we talk about it all the time. I just didn’t think about it. If you don’t have a lender, man you’re saving probably 90% of the headache in the real estate deal. Jill: There’s just no pressure. If it takes two months, two weeks, whatever, it’s okay. You’re not worried about it. Jack: And add this to your list. If you don’t have a lender, and now you’re buying the asset for half of what it’s worth, now you’re just waking up smiling. You’re not all stressed out. You’re not worried about making the next mortgage payment or getting the house sold before you have to make that one last payment. You take all the stress out of this. Jill and I have done 5 or 10 deals where I didn’t sleep for a year, and we’ve done almost 16,000 deals where I’ve slept like a baby because we just took all the pressure off of ourselves to perform. Jill: Right. I’m going to share something personal. Jill: So, I’m working on a new office space, because yes, we are growing and starting more companies, because Jack doesn’t know how not to. Jack: Is the company profitable? The yesterday one? Jill: The yesterday one? I don’t know. Jack: How about the one 40 days ago? Jill: Okay, okay. That’s not the point. Let me finish my point, please. Jill: So, the point is I’m looking at new office space, and they send me the old … It’s really funny. It’s a fill-in-the-blank form like it’s 1989 for a commercial rental application. Really? Are you still doing this? Jill: It’s hilarious. So, I’m like alright, I’m going to humor you guys. Jack: Does it say Hallmark at the top? Jack: Did they get it at the Hallmark store? Jill: Yeah, right. I know. Jack: Stationary store, I mean. Jill: It’s hilarious. Like they ripped it off a pad, like this pad here. So, anyway, I’m looking at this and I’m like you know, it ties into this pitfall thing. There’s a negative side of the sheet and there’s a positive side of the sheet. Your liabilities and your assets. We don’t have any liabilities. I don’t have anything. I don’t. We don’t have a car payment. We don’t have a mortgage. All the property we have is paid for. And I was having this chat with you, Jack, and I’m thinking, what if people think we’re not real? You know what I mean? Because it’s so not normal, but I love it. So, that was my thing. Talk about sleeping well. Going back to the topic, flipping pitfalls. Gosh, if you pay cash for stuff, you can afford to do it all wrong. You’re not under the gun. Jack: A reasonable financial partner, like a reasonable spouse, is going to say, “You know what, I believe in you, and that sounds good.” When is the last time you called your lender and said, “You know, I’m going to miss two payments because some stuff is going on.” That’s never going to happen. Jack: Is that what I said? Jill: Yes. Every now and then, Jack, you have these little nuggets of things that I’m like, that’s awesome. We used to have that, that was a thread, remember? It was the … I’m trying to use the right … The Stuff Jack Says, we’ll just say. Reasonable spouse. Love it. Someone needs to bring back that thread to Land Investors. Jack: There’s a lot of spouses that are unreasonable. Jill: Yes. Oh my gosh. Uncomfortable spouse. Jack: What else could a spouse be? Unreasonable. Uncomfortable. Jack: Apathetic. Disgusted. I don’t know this from experience. Jack: This is none of my personal experience. I’ve only just read about this stuff. Jill: This is good. I like this one. Unhappy. Jill: Un … What’s the word … Lack of energy. What’s … Well, morose, but yeah. Jill: You know we talk about, you want a willing participant in the bedroom. Jack: You want some enthusiasm. Jack: How did this get to the bedroom? Jack: I’m sorry, what would you like in the bedroom, Jill? Jack: You brought this up. Jack: I can’t remember. I remember the conversation, but not the words that I used. Jill: You can’t be responsible. Jack: I’m not responsible for what I say. Jill: That’s right. An un-responsible spouse. Irresponsible spouse. Jack: The title of this show is “Flipping Pitfalls” in case you were confused. Jill: Okay. Hey, join us in the next episode where we discuss branding yourself as a real estate investor. Jack: And we answer Merritt’s question about how you handle credit card processors. Oh, good. This is timely. Jill: I love it. You are not alone in your search for a reasonable spouse ambition. Jack: Boy, there’s a talk show. Your search for a reasonable spouse. Jill: Does she say that? Jill: I don’t remember her mom being in there. Was that just on the phone with her or something? Jack: Uh-uh (negative) They live together in Brooklyn. Jill: Oh, I forgot about that. With the little boy? Jill: Yeah, that’s a good one. Hey, you like me, and you like our show? Just kidding. Jack: Do you like me? Jill: Do you like me? Jack: My name’s Jill. Do you like me? Jill: Do you like me, do you like our show? Please subscribe and rate us on iTunes or wherever you are listening.